South Africa’s property firm, Emira Property Fund is investing close to US $600,000 in the total refurbishment of 9 800 square meter Denver warehouse facility in Johannesburg with the aim of bringing the industrial property to the forefront of modern business accommodation. Ulana van Biljon, Chief Operating Officer of Emira Property Fund confirmed the reports and said the major revamp of the project which is situated on the corner of Mimetes Road and Kruger Street will be complete by March this year. The anticipated newly faced building will comprise of some 1000 square meters of contemporary offices, and a new courtyard that will link the offices and the 8 800 square meter warehouse. The offices and the warehouse will both be fitted with energy-efficient lighting to lower occupancy costs to the possibly least amount. The upgraded warehouse property will have its own gatehouse positioned at a reconfigured entrance point with electric gates, supporting both security and ease of access. New parking canopies are being installed to cover 86 of the 120-plus parking bays. It will also benefit from a water-wise landscaping makeover. The entire premise will be surrounded by newly installed fencing system. “This property is part of our core portfolio because it has great fundamentals in place; an excellent location in an established industrial area, easy highway access, security, and ample electrical power. Now, with this upgrade, we are refreshing the building to support the latest warehousing and business operations,” said Ulana van Biljon. 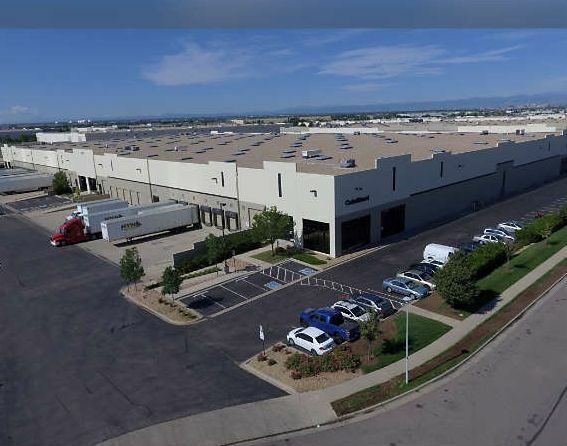 The customized Denver warehouse is set to offer a modern and affordable position in a convenient and more flexible location.